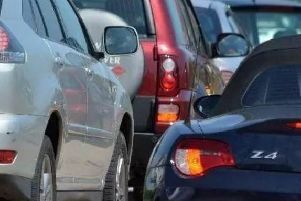 A £1.5 billion scheme to upgrade the A14 in Cambridgeshire and relieve congestion, unlock growth and help to connect communities in the East of England, has been given the go ahead for construction. Highways England has welcomed the decision, announced today, Wednesday May 11, by Secretary of State for Transport Patrick McLoughlin, which will see extra capacity added to the A14 between Cambridge and Huntingdon. The improvement scheme is now on target for main construction work to start in late 2016. Further details will be announced in due course. The 21-mile scheme will include a major new bypass of Huntingdon between Swavesey and Brampton, widening the A1 between Brampton and Alconbury, widening the existing A14 between Swavesey and Milton and improving the junctions at Bar Hill, Swavesey, Girton, Histon and Milton. There will also be improvements in Huntingdon Town Centre to include the demolition of the A14 viaduct and a new local access road. Chris Taylor, Director for Complex Infrastructure at Highways England, leading the A14 Cambridge to Huntingdon improvement scheme, said: “This is great news for everyone who uses the A14 through Cambridgeshire, from local residents and businesses to national and international haulage companies. The scheme will provide much needed additional capacity to improve journey times and safety. “I would like to take this opportunity to thank everyone who has taken the time to give their views. All the input received has helped us shape the scheme. Today’s decision follows a statutory examination process by the Planning Inspectorate. The planning application was submitted to the Planning Inspectorate on 31 December 2014. The examination phase started on 13 May 2015 and lasted for six months, with the Planning Inspectorate submitting their report to the Secretary of State for a decision on 11 February 2016. The new bypass and widened A14 will open to traffic in 2020, although some finishing work such as the removal of the A14 viaduct in Huntingdon will continue beyond that with occasional road closures. * Local enterprise partnerships in South East Midlands and East Anglia.